The house was named for Jean-Baptiste-Donatien de Vimeur, comte de Rochambeau (1725-1807), the French General who fought alongside George Washington in several critical endeavors—including the siege of Yorktown and the Battle of the Chesapeake—in the American Revolutionary War. De Vimeur landed in Newport, Rhode Island in 1780, and had under his command several thousand French troops with whom he was to assist the Continental Army, under General George Washington. The French chateau that now stands at 84 Prospect Street was dubbed the Rochambeau House in honor of de Vimeur’s outstanding achievements during the war, and it is rumoured that at times, he was in command of more men than Washington, himself. The Comte, however, never actually resided in the house, as it was not constructed until 1929, more than a century after his death. 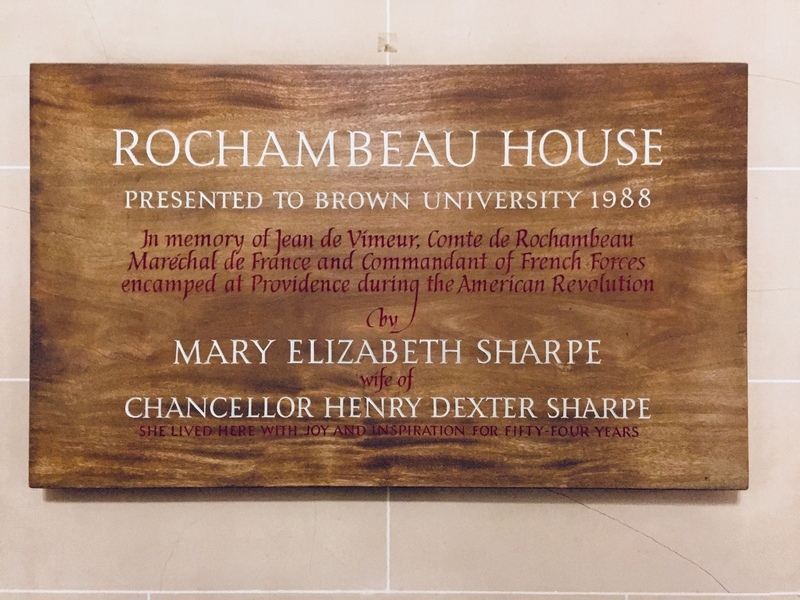 Nowhere inside the house is there any mention of the Comte's legacy, though there is a marble plaque in the building’s main foyer commemorating the life of another remarkable individual: Mary Elizabeth Evans Sharpe, of Providence, Rhode Island. Sharpe was the wife of a Providence-based industrialist, Henry Dexter Sharpe Sr., who later became the twelfth Chancellor of Brown University. 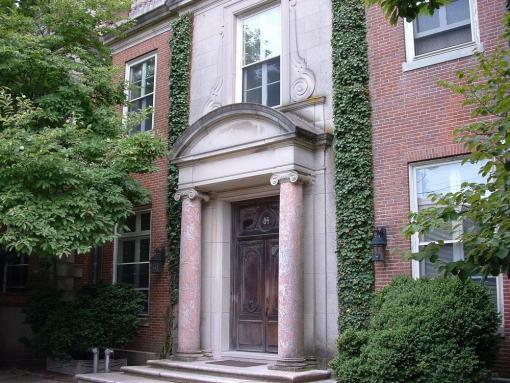 The Sharpes commissioned the Boston-based architectural firm of Parker, Thomas, and Rice to design their dream home, and after its completion in 1929, Mary Sharpe lived there until her death in 1985 (Mr. Sharpe having passed away in 1954). After her passing, her only son, Henry D. Sharpe Jr., donated the house to Brown University in his mother’s honor, knowing how she and his father had for so many years worked with and loved the University community, and how she wanted to see her home remain in the care of the family's alma mater. 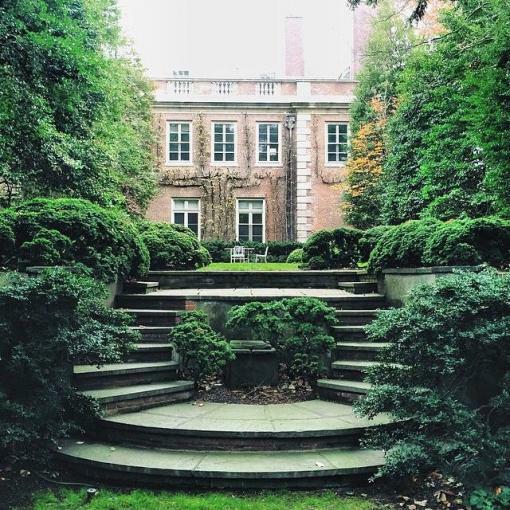 Mrs. Sharpe was an avid gardener and self-taught landscape architect, and over the decades during which she lived at 84 Prospect St., ensured that the house was always surrounded by beautifully-tended gardens and greenery; in the spirit of her love for garden and landscape design, the University still maintains the gardens on the grounds, today. Just outside the front door, on each side of the entrance to her home, stand two beautiful examples of Mrs. Sharpe's favorite tree: the Japanese cherry blossom, whose delicate boughs still embrace visitors and welcome her guests into the house today. The house was given the name "Rochambeau" as a commemoration of the Comte's stay in Providence during the Revolutionary War, where he and his troops were actually sheltered at Brown (then known as The College in the Colony of Rhode Island and Providence Plantations) before a march through Connecticut to connect with General Washington. De Vimeur remained in the newly-born United States for only a few years after the war, and upon his return to France, he became a key supporter of the French Revolution. 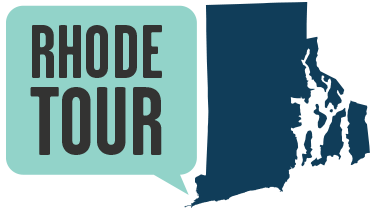 That it, while his stay here in our humble Rhode Island was a brief one, his legacies have left an indelible mark upon our community and our history. The faculty and students in the departments of French and Hispanic studies, whose offices are now currently housed at the Rochambeau House, have claimed that the (benevolent) spirit of Mrs. Sharpe still roams about the house, with many claiming to have heard whispers, footsteps, and even the sounds of someone snoring in the house after hours. The research conducted for this entry is based in the Mary Elizabeth Papers, the personal archive of Mrs. Sharpe, now housed in the Special Collections at Brown University libraries. The collection includes nearly 2 dozen boxes of documents and materials from the years 1920-1985. 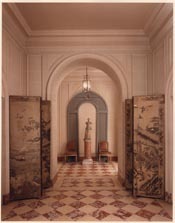 Remington L . Stuck, “The Legacy of the Rochambeau House,” Rhode Tour, accessed April 21, 2019, http://rhodetour.org/items/show/260.